Conventional dentures are designed to give you the appearance of natural teeth, but not actually replace your natural teeth. You may have noticed that your denture that once fit well now slips constantly and requires costly visits to the dentist for adjustment. That's because every day that you wear a denture the bone in your jaw shrinks a little more. Eventually the denture won't fit at all and you will have to replace it. 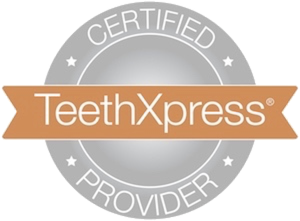 TeethXpress is a very different solution. You will still have beautiful natural looking teeth, but now they will also function like natural teeth. The TeethXpress solution secures your denture to surgically placed dental implants so that you can eat, speak and live confidently without the fear of slipping dentures. Click on About TeethXpress for more details. Contact South Mountain Dental today if you have any questions or concerns about our dental services, or if you’re ready to schedule your TeethXpress consultation. 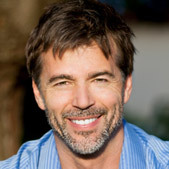 Dr. Film always enjoys helping patients achieve complete satisfaction when it comes to the health and beauty of their smiles. We can’t wait to welcome you to our new location in Boonsboro!